Pictured is the old road junction between Cambridge Road and the Great North Road looking eastwards towards New Wimpole village and Cambridge. 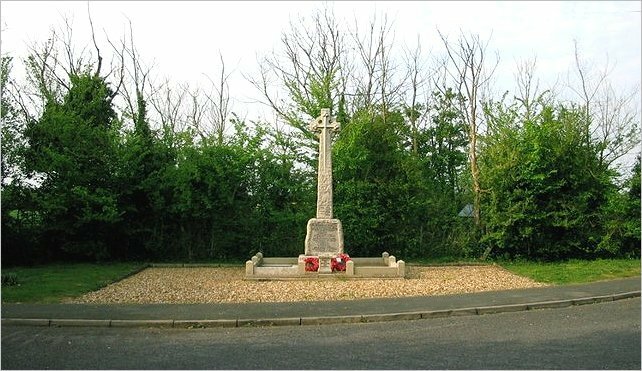 A rather new-looking Wimpole and Arrington War Memorial dates the image to soon after the First World War, around c1920. The wreaths fix the month to late November. Wimpole Lodge is on the right. 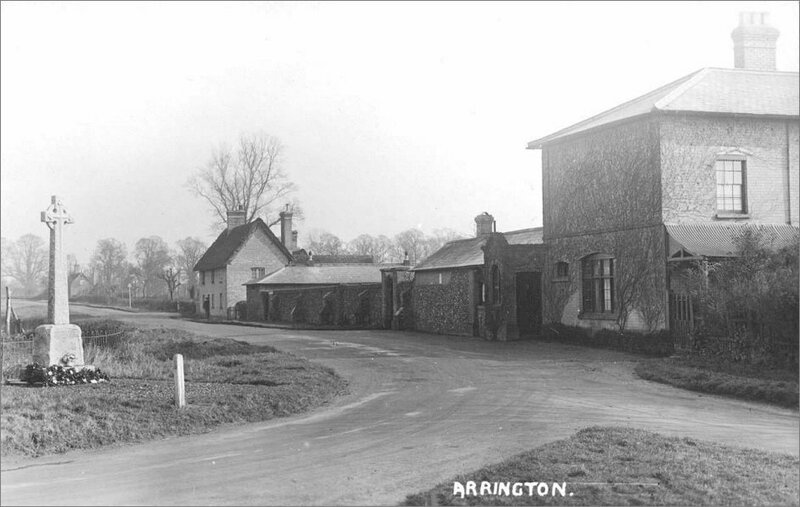 This corner was once the significant point on the road midway between the villages of Arrington and Wimpole. In 1990, this length of Cambridge Road was bypassed 200m to the north [the modern A603] and the above junction was closed off. This page was last updated on: 20 January 2018.